Chinese Tourism Academy recently published its rankings of China's most satisfying tourist cities in its 2012 tourist satisfaction survey. 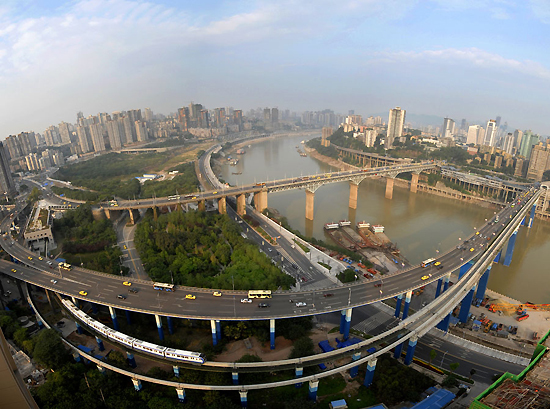 Suzhou of Jiangsu Province tops the list, followed by Shanghai Municipality and Anhui's Huangshan. The survey rated 60 cities across China through tourist questionnaires, online evaluations, telephone surveys and quality tests. The first survey was launched in 2010, covering the areas of urban transportation, city administration, urban sanitation, tourist services, retail, dining and entertainment. As a major city in southwestern China, Chongqing is known for its long history, gorgeous scenery and spicy yet delicious local cuisine. Famous scenic spots include Southern Hot Spring Park, Ciqikou Old Town, Dazu Rock Carvings and the Three Gorges Museum. Even if you would only like to stay in the city itself, this will make for a memorable experience. Have some tea, enjoy the local food, chat with the locals, walk through the antique streets, or just hang out in Chongqing's unique towns. Are you satisfied with the tourist cities that you've been to? Check out these newly-released tourism satisfaction rankings of China's cities.